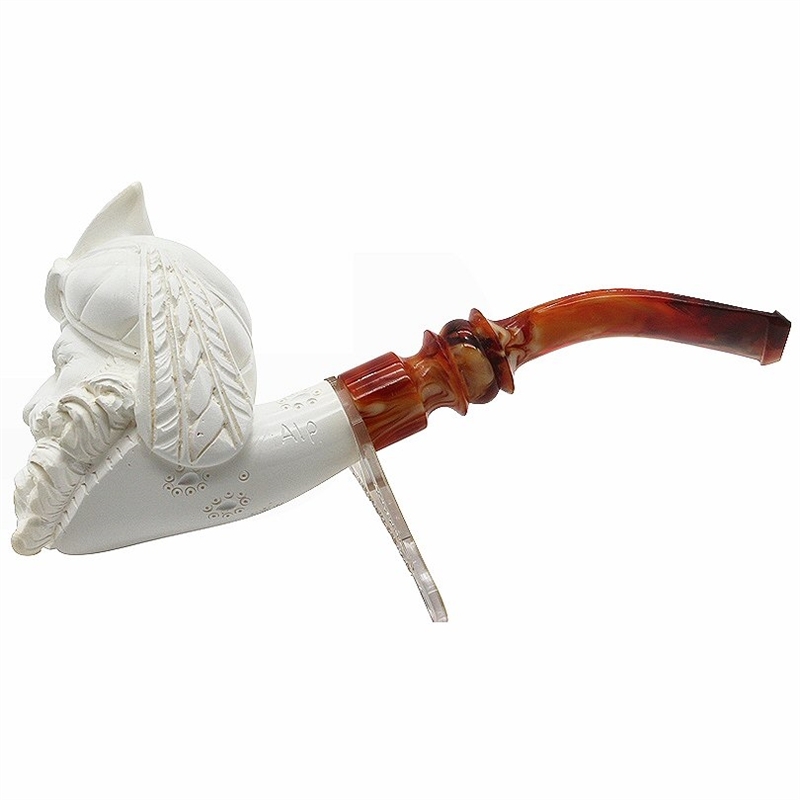 Hand Carved Signed Sultan with Designer Stem Meerschaum Pipe - Signed by the carver, Alp, this deep bowl pipe is very well carved in great detail. 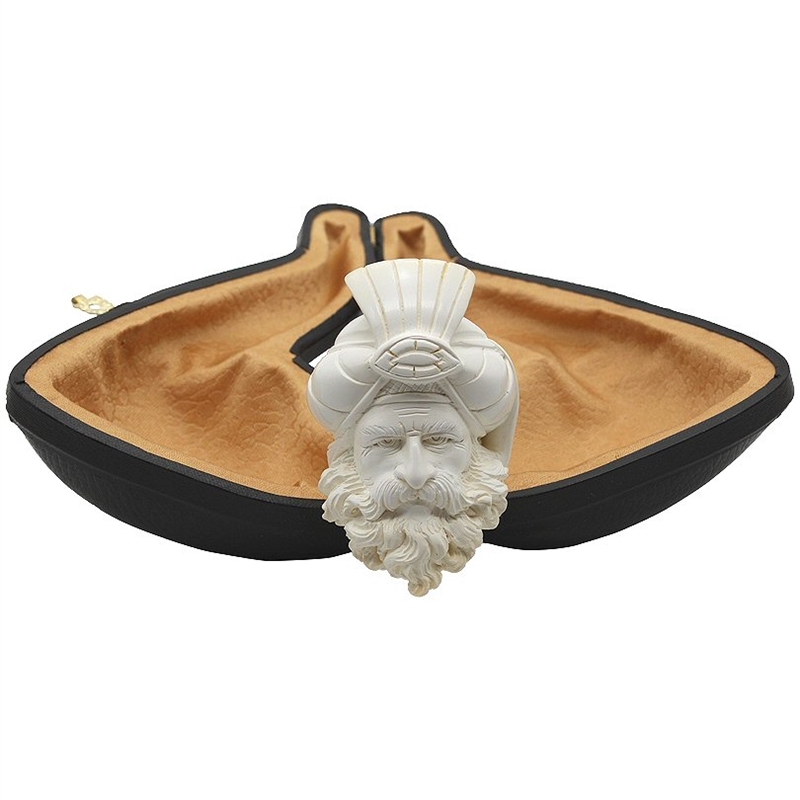 The features of the Sultan's face are outstanding and his moustache and beard are carved in a way that you can see the flowing lines of his curls. There are touches of intricate designer lattice patterns on the smooth underside and shank. 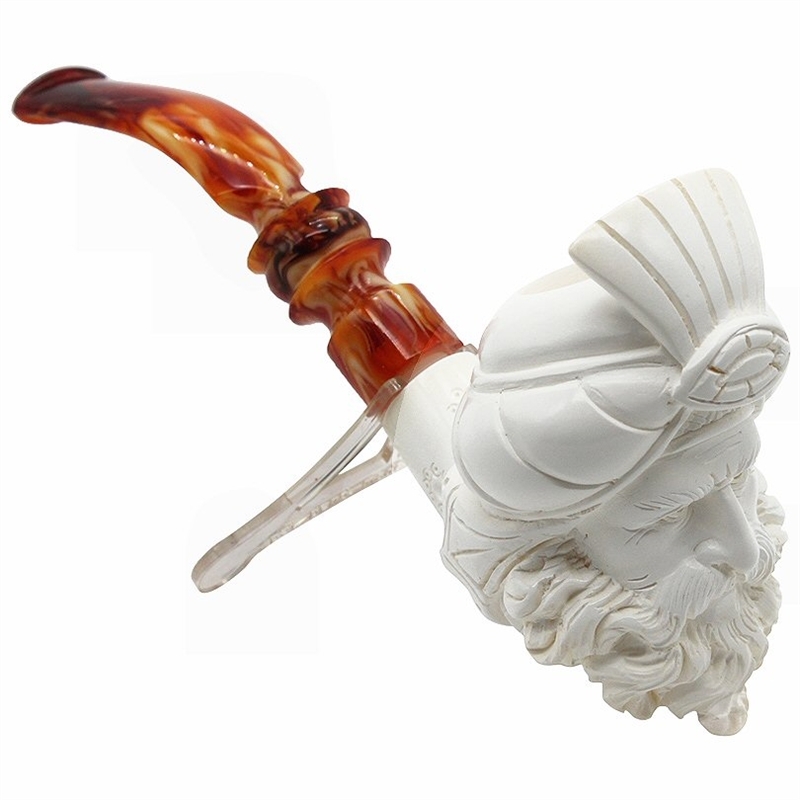 In addition, both the pipe and stem have a high gloss polished finish that gives it a special shine. 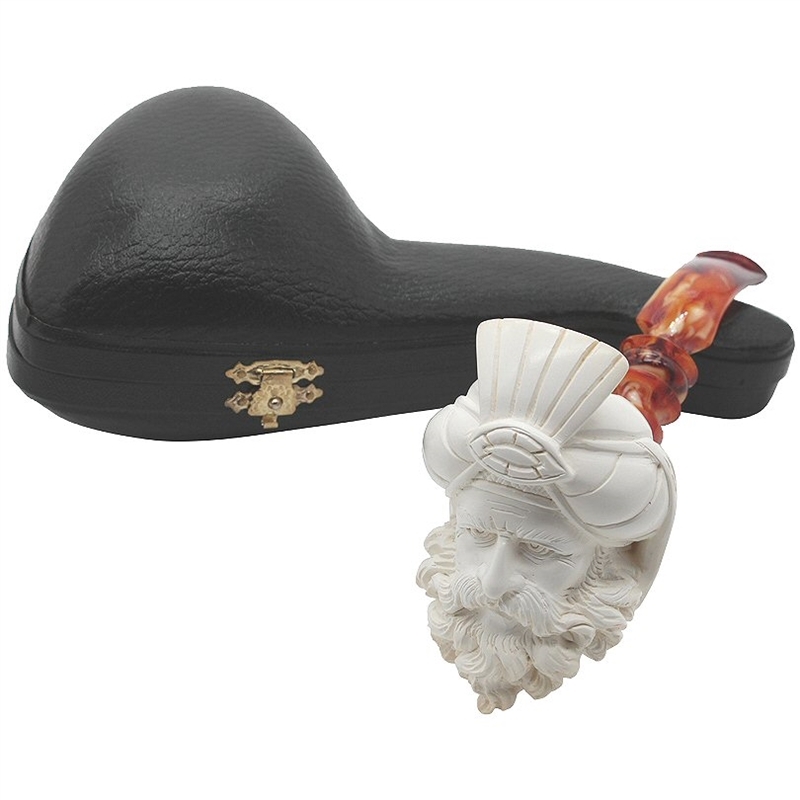 This handsome pipe is an excellent choice for the pipe smoker who likes to collect or smoke pipes with carved faces.